Marketers everywhere are trying to understand their data better and which key performance indicators (KPIs) they should be tracking in order to get the best results. Often, seeing what other marketers are monitoring can help get you on the right track. Thankfully, in a new study, Databox sheds light on the top 20 KPIs marketers are actually tracking in their Databox portals. This gives us a real look at which metrics marketers truly care about and, in many ways gives us a peek into their strategies. Let’s break down the top 20 KPIs mentioned, what they mean, and why it is important to track them. We will also include the link to the corresponding Databox template so you can easily add these metrics to your portal. This is one of the basics, but also one of the most important. Sessions is a common metric marketers use to gauge how many people are coming to their site. A session begins when a user enters the site and ends 30 minutes after inactivity. One thing to keep in mind is one person can log multiple sessions depending on when they come back to the site. 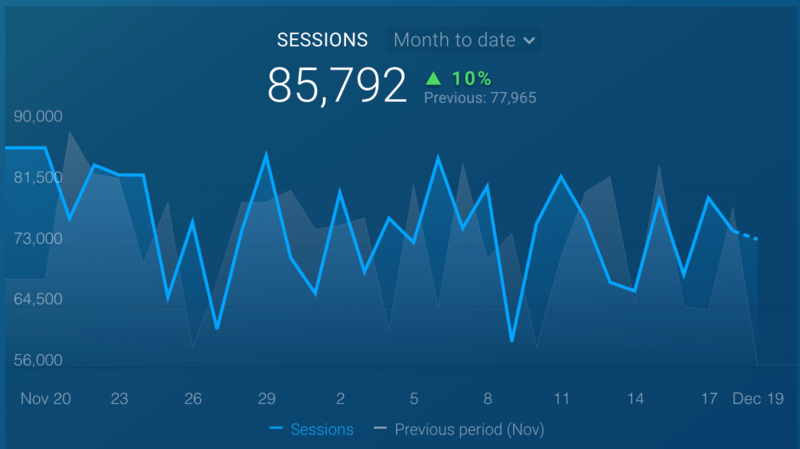 When a session is recorded, a variety of tracked metrics like page views, clicks, and transactions are also being documented. This allows you to understand which pages on your site are getting the most traffic and how traffic is increasing or decreasing over a certain period of time. This is the same idea as a Google Analytics session but specifically tracked by HubSpot. This is unique because every session tracked by HubSpot also includes specific HubSpot metrics like CTA clicks. New sessions are tracked by HubSpot 30 minutes after a user’s last session. Users is a helpful metric that marketers like to track because it lets them know how many unique visitors are coming to their site. This is important because it lets you understand how many different people are engaging with your site. The more users on your site, the more opportunities to reach a possible new customer. One great aspect of user tracking in Google Analytics is they are assigned a unique ID or client ID, that’s stored in a cookie in your browser. This allows Google Analytics to then track returning visitors when they come back to your site. We mentioned that when Google Analytics tracks users, it also drops a cookie in order to track whether that user is new or returning. With that, Google will keep track of new users. New users are specifically users that have visited your site for the very first time. 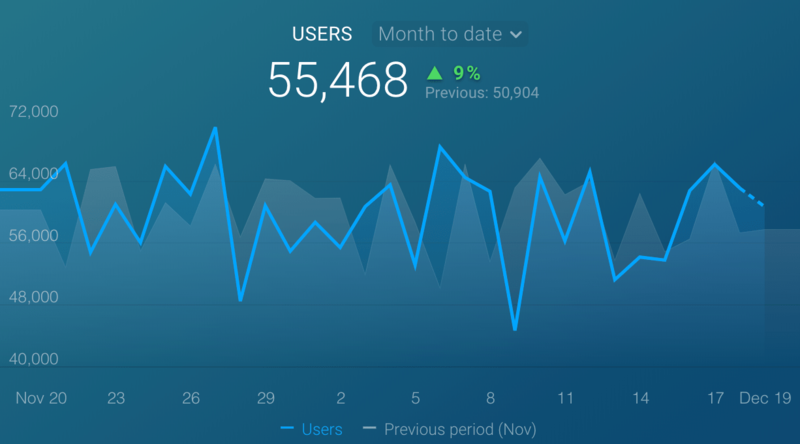 This KPI is popular amongst marketers to see how many new users they are bringing to their site with their marketing efforts. Another popular HubSpot KPI is contacts by smart list. This is helpful because it allows us to see which smart lists in HubSpot have the most contacts associated with them. Not only that, but It allows you to see the growth of a specific list over time. This is useful for tracking subscribers, MQLs, and more! Monitoring new contacts and the number of new contacts we are obtaining through various channels is a valuable way to see if your marketing efforts are working and bringing in new contacts. One important thing to note here, however, is to exclude Offline Sources. The main reason for this is to not skew the data with large imports of existing contacts from a past database, or contacts that are being added manually through offline campaigns. 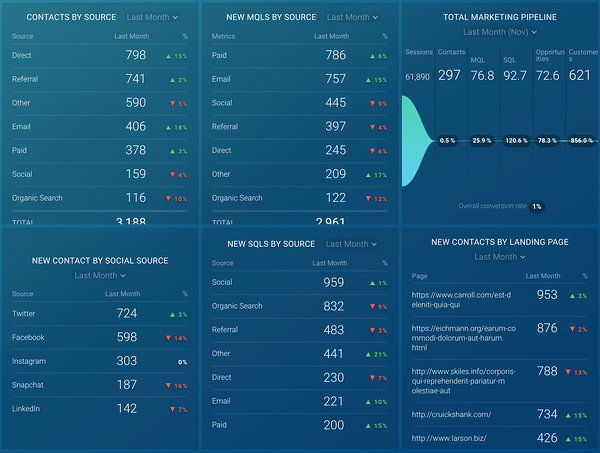 While many marketers want to know the number of new contacts they are obtaining in HubSpot without offline sources, some also like to monitor the overall number of new contacts. This includes new contacts obtained through every channel, including contacts that were directly exported into HubSpot. When a new contact is added, HubSpot records their source, lifecycle stage, country, create date, or activities. Tracking budget will always be important to marketers. 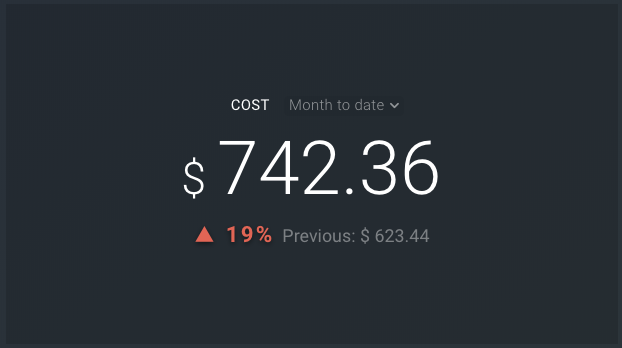 Cost in Google Analytics is measured based on your bidding strategy. For example, if you choose cost-per-click, you will be charged by each click on your ad. Google Ads will track the exact dollar amount spent on each campaign, ad, and even keyword in your account. There is no limit and it is easy to overspend, which is why it is important to keep an eye on your total cost. This metric will help you understand where your ad spend is going, and if it is delivering enough return on investment (ROI) in order for you to continue investing in that campaign or ad. This is similar to what I said about Google Ads, but with Facebook Ads. 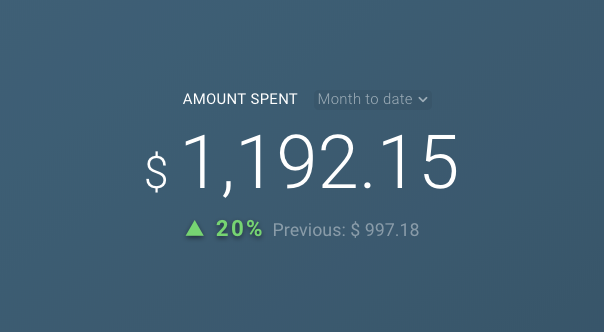 Amount spent is the estimated total amount of money you've spent on your Facebook campaign, ad set, or ad during its schedule. With Google and Facebook being the two most popular Ad companies, it makes sense that marketers would want to be on these platforms and monitoring the costs. Wouldn’t you like to know how many of your contacts are becoming new leads? You are not alone. That’s why marketers are new leads in HubSpot. HubSpot will track how many of your contacts’ lifecycle stage is changed to “lead” for the first time, and will track that as a new lead. 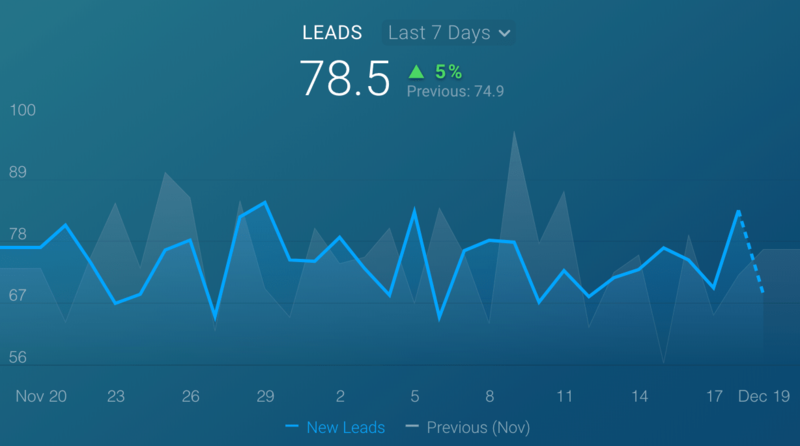 This is a great way to see the trend over time of how many leads you are getting a month and evaluate the success of various campaigns, website optimizations, and other efforts. 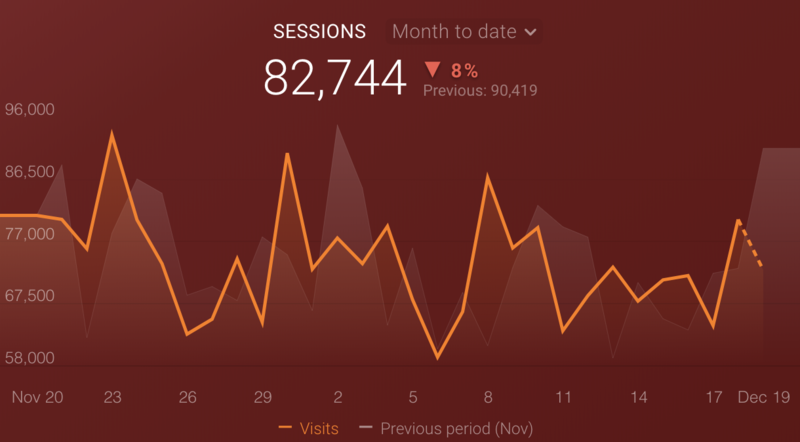 Goals in Google Analytics are completely customized for whatever objective your company is trying to measure on your site, which is why it is extremely important to track when looking at your KPIs. Google will attribute a goal completion to a user once they fulfill the objective you have set. This can be anything from filling out a form, to completing a purchase. This enables demand generation teams to attribute conversions on their site to specific users. You are even able to set a goal value in order to calculate how much that conversion could be worth. When using HubSpot’s CRM capabilities, it is important to track the number of deals that have closed and won so you know how close you are to achieving your revenue goals. This number changes when a deal is marked 100% closed won and is then associated with the contact and company that is part of that deal. A “Pageview” is any view of a page that is being tracked by Google Analytics. Every time a page is reloaded, it counts for another pageview. This is one of the top KPIs for marketers because it gives them a good idea of which pages on their site are generating the most views, and which pages could be further optimized. Instagram has become the third most popular social media platform behind Facebook and YouTube with 1 billion users and 500 million daily active users. It is clearly a social force to be reckoned with, which is why this is a valuable and popular metric to track. 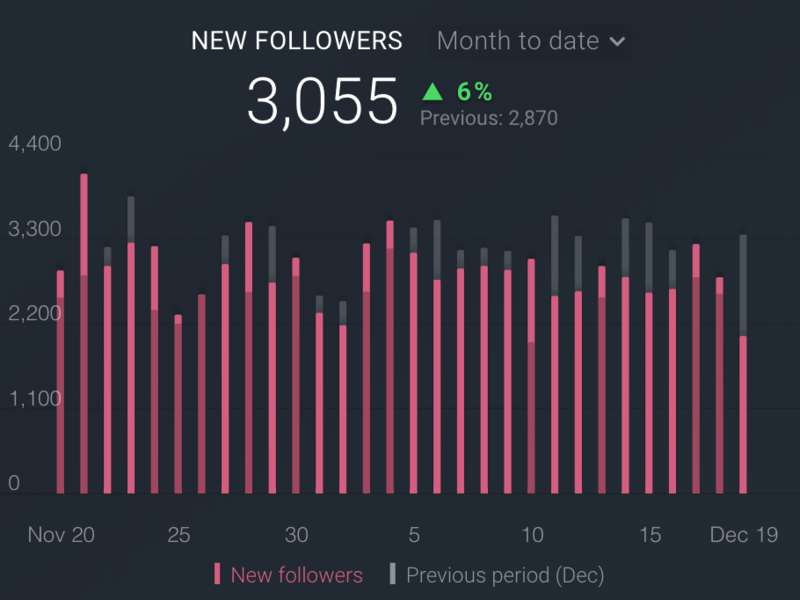 An Instagram follow is generated when someone on Instagram follows your account. 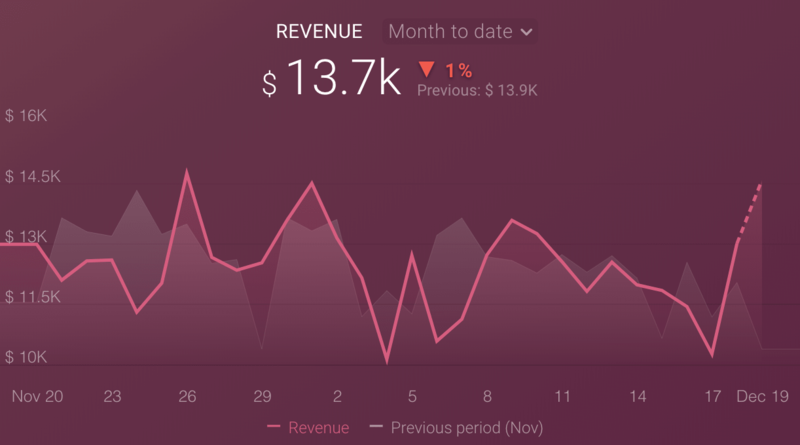 If you have an eCommerce site, one of the beauties of Google Analytics, is to be able to track revenue and attribute that revenue to a specific session or user. Google Analytics will specify the total revenue or grand total associated with the transaction. This value may include shipping, tax costs, or other adjustments to total revenue that you want to include as part of your revenue calculations. 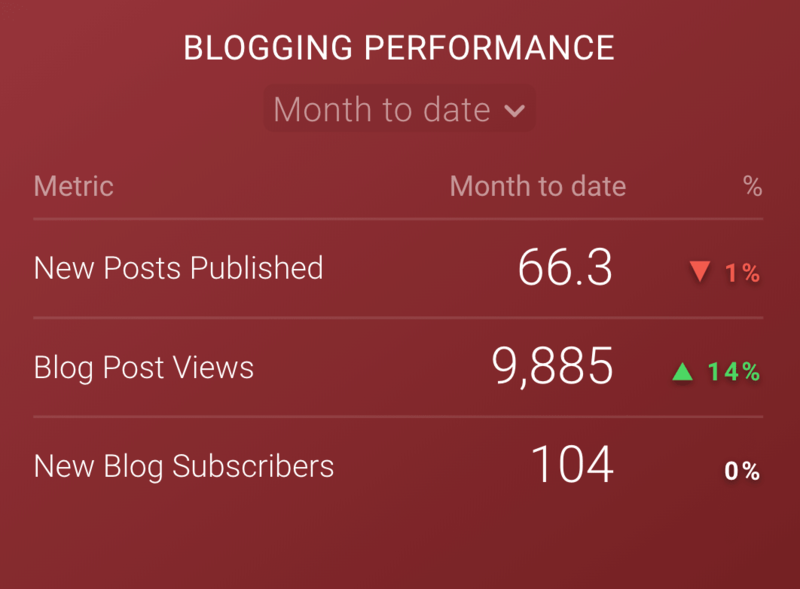 Blog post view is an essential metric for marketers who are focused on creating awesome content for their users via their blog. Similar to pageviews in Google Analytics, HubSpot will track a view on a specific blog post based on how many times that page was loaded. This metric helps identify popular topics and discover blog posts that could be better optimized for conversions. 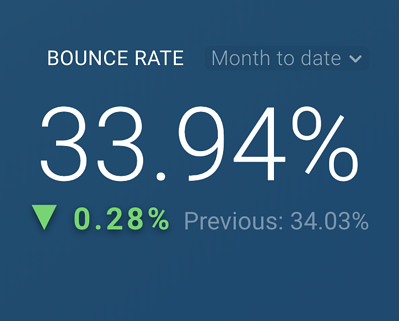 Bounce rate is a metric that gets thrown around a lot in the industry. In Google Analytics, a bounce is calculated specifically as a session that triggers only a single request to the Analytics server, such as when a user opens a single page on your site and then exits without triggering any other requests to the Analytics server during that session. Marketers can use this KPI to tell whether they are attracting the right type of visitors and if the content they have on their site is relevant, helpful, and provides a good enough experience for the user to continue on to other pages of the site. However, a high bounce rate doesn’t always mean your page is bad. If your page quickly offers the answer the visitor is looking for, they may bounce because there is no reason for them to continue to another page. When running Facebook ads, a good way to see if it is generating page likes is to monitor page likes. Liking a Facebook Page allows users to follow your Page posts and activity in order to stay informed about your business. This also helps you make marketing decisions as you will be able to see and use geographic and demographic information about the people who like your page. Keep in mind, this is different from a post like. The more people you have like your company’s page on Facebook, the more potential you have for reaching a larger audience whenever you post something new. Even more so than Instagram, making sure you have a presence on Facebook is extremely important, mainly because of its powerful ad platform. Facebook ads are only important when they are relevant to your users. Page engagement on Facebook is the total number of actions that people took on your Facebook Page and its posts, attributed to your ads. 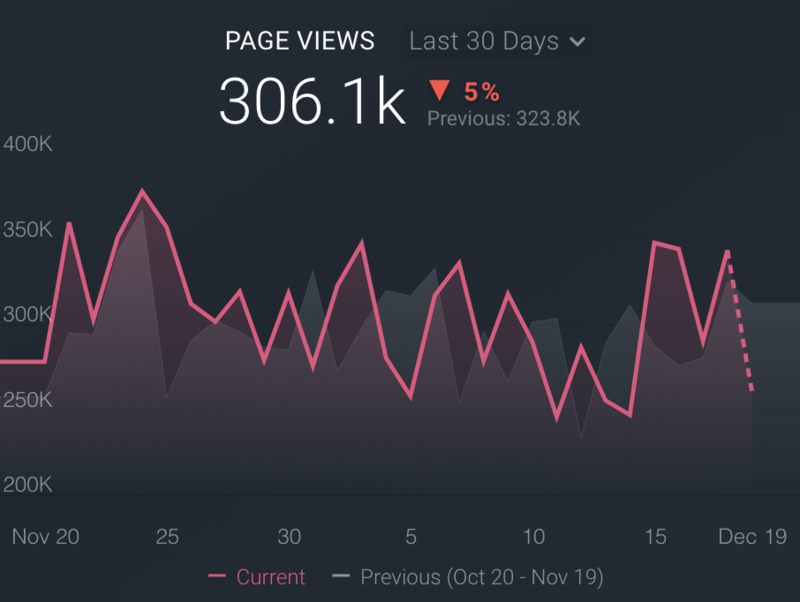 This KPI allows you to see how people interacted with your Page and posts because of your ads, indicating how relevant your ads were to your audience. Tracking deals created is a good way of seeing if the leads your content is bringing in are quality, and to see if they are bringing in enough leads in order to create sales. Monitoring deals created can also help align the marketing and sales team’s efforts. 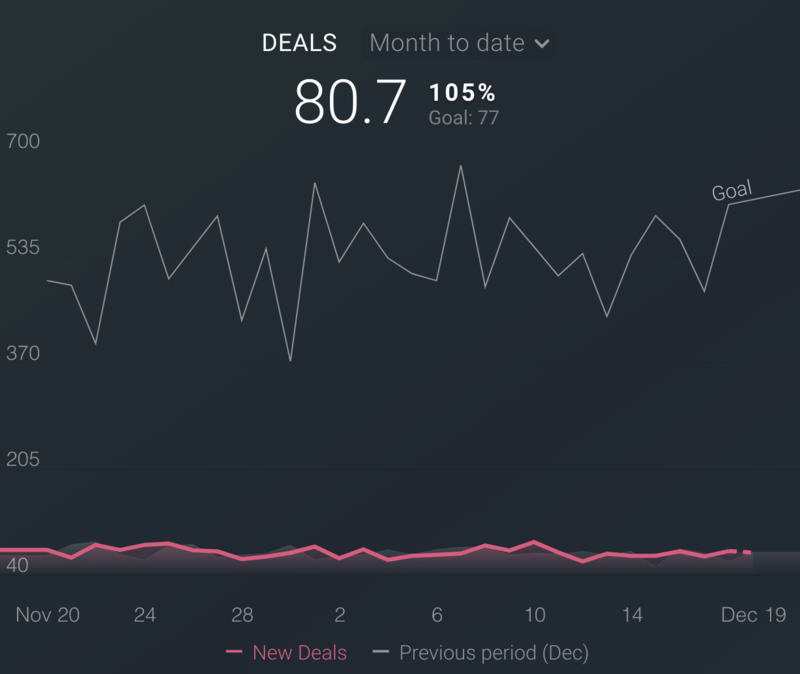 Deals in HubSpot helps your Sales team track the number of deals that are being created from the leads marketing is bringing in, and how many they are able to close. HubSpot will track a deal each time it is created in the CRM. These deals can be associated with contacts and companies to see where the deal originated from. So what should be your next steps? Start by seeing if you are tracking most of these 20 KPIs. 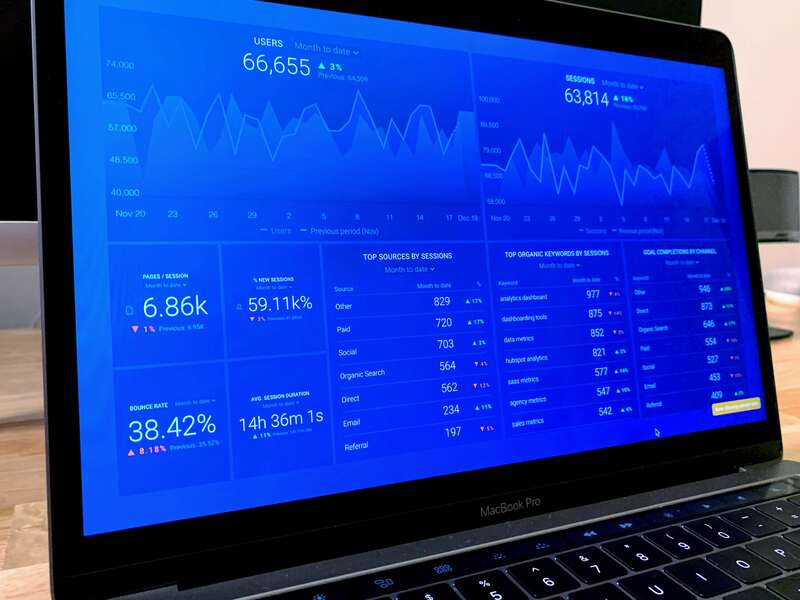 This will help you evaluate if you are monitoring the right type of data to see the impact of your marketing efforts or if you’re focusing on the right areas to outdo your competition. 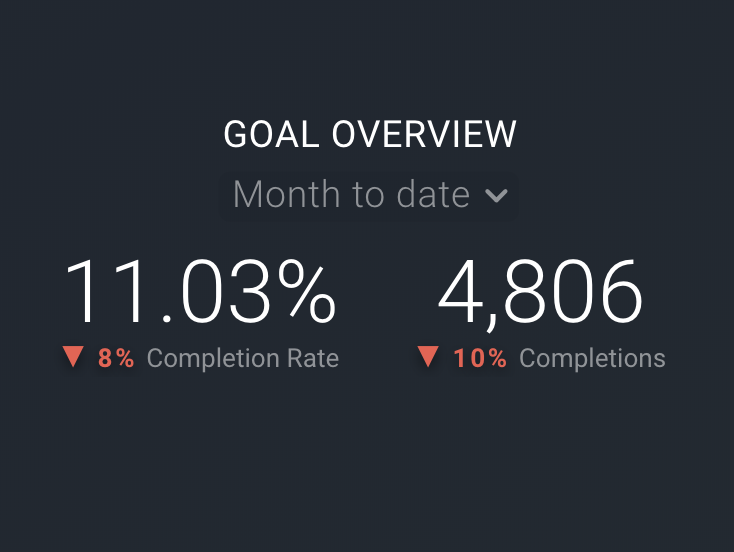 Then, depending on what you find and your company’s goals, make sure to grab Databox’s templates to set yourself up for real-time tracking success!